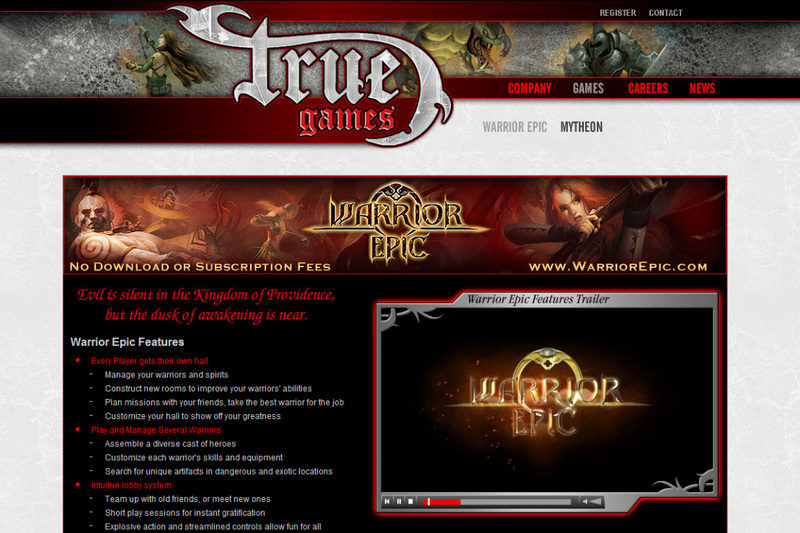 This PHP site is for True Games Interactive to help promote their company and MMORP games. This site features a flash navigation, dynamic news, trailers, dynamic footer ads, dynamic job postings, and newsletter sign-up. I am responsible for the animations, flash menu programming in AS2, the flash news programming, the trailer player programming, and some design elements. © 2009 True Games Interactive, Inc. All Rights Reserved. 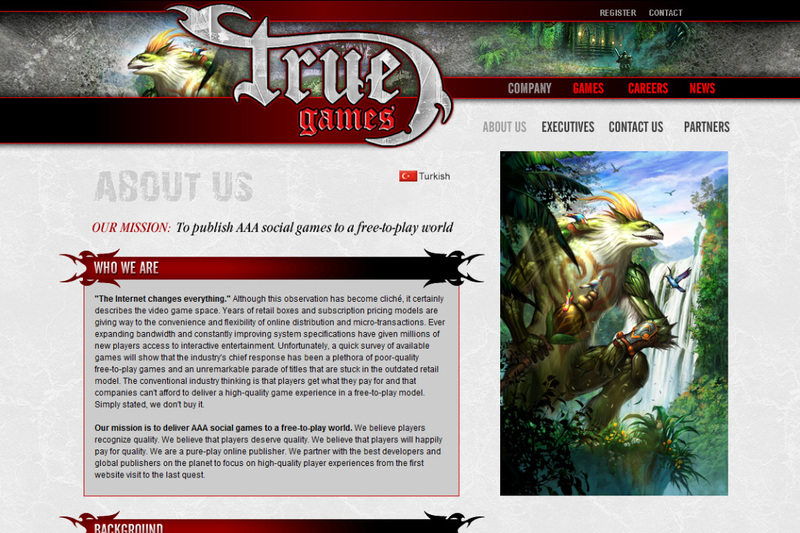 True Games website designed and produced by Beck Interactive, Inc.